After a thick layer of snow last Sunday, the weather warmed up to Spring-like temperatures. When it was calm and the sun was out, it was very pleasant indeed. Warm but a bit breezy today for this weeks Six on Saturday. 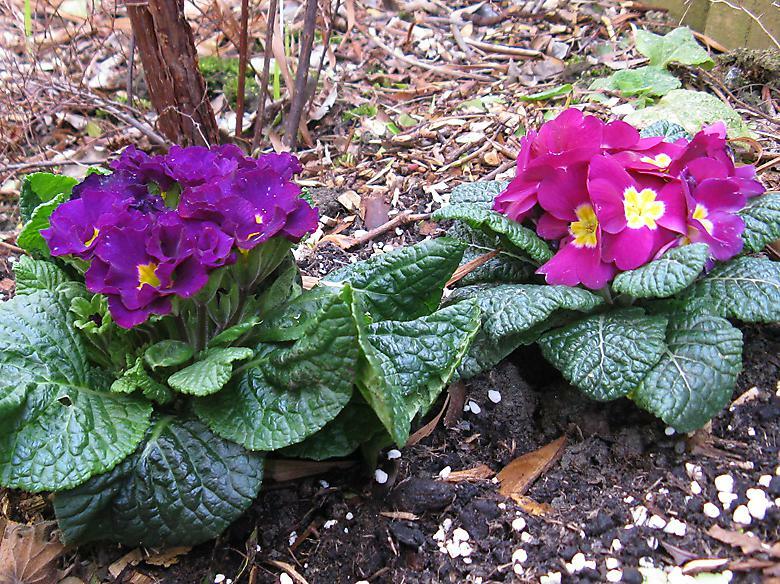 These two sit just outside the back door so they are a delightful patch of colour close to the house. 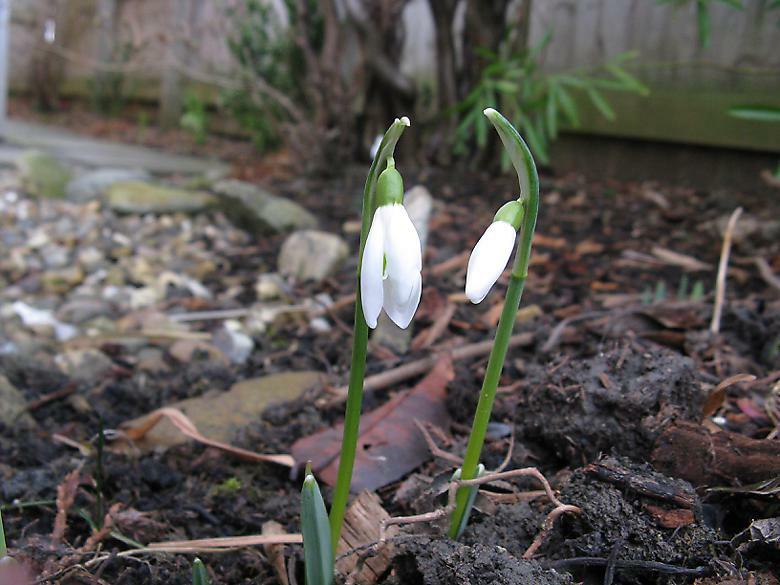 There are a few bulbs nearby so I am looking forward to an interesting Spring. This is the first one to open. Well it is almost open anyway. A couple of days ago I noticed that the Polemonium that I got as a bargain at the tail end of last year had survived and was growing new leaves. I was glad because it would not have been a bargain if it hadn't survived. 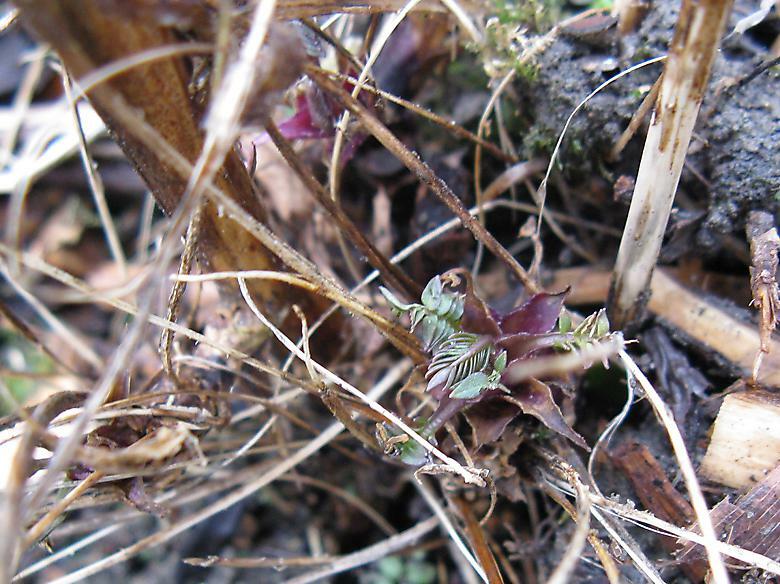 So I took a closer look at my other Polemonium (Polemonium yezonense "Bressingham Purple") to see if it had any new shoots. 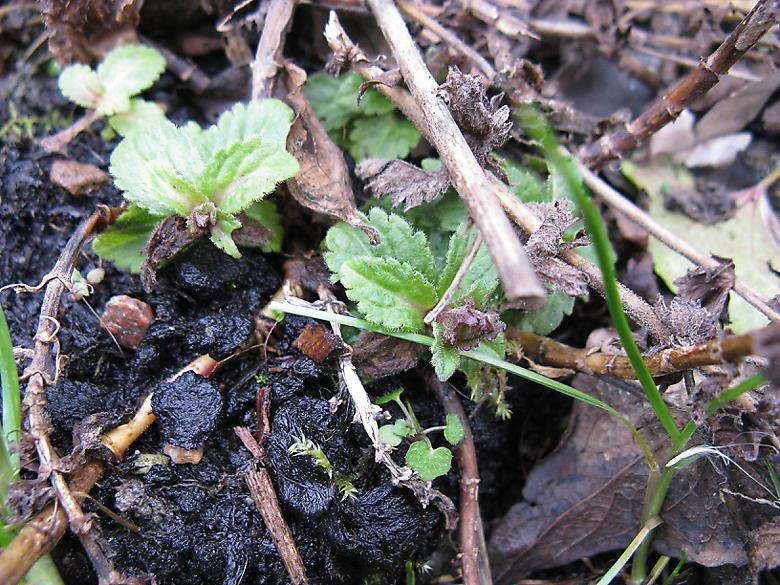 Indeed it does, though the leaves are not quite as recognisable yet. They are so small that I wasn't entirely sure until I took the picture. My Veronica is starting to put up new shoots. Funnily enough when I search for the full name (Veronica austriaca "Venice Blue") on Google images, there are two pictures from my blog... of Gazanias. 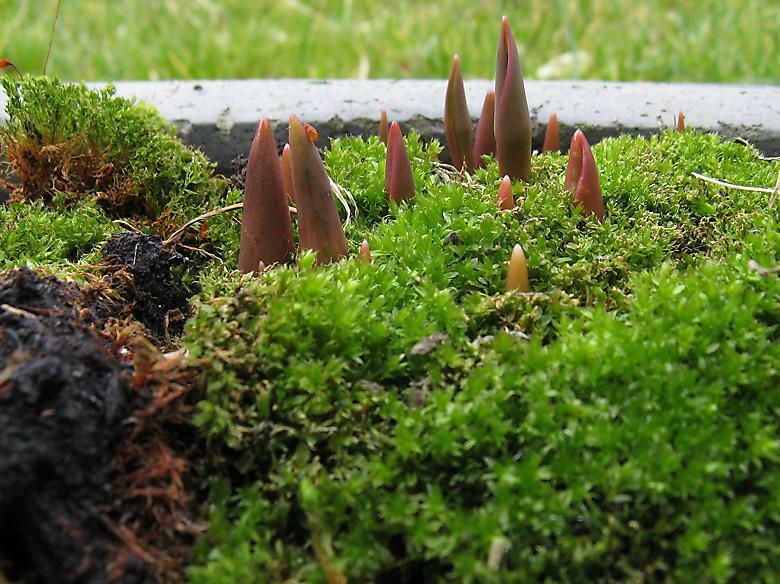 Growing in a planter through a thick layer of moss. I did start removing the moss about a week ago until I realised that there were already shoots growing through it, so I put it back again. 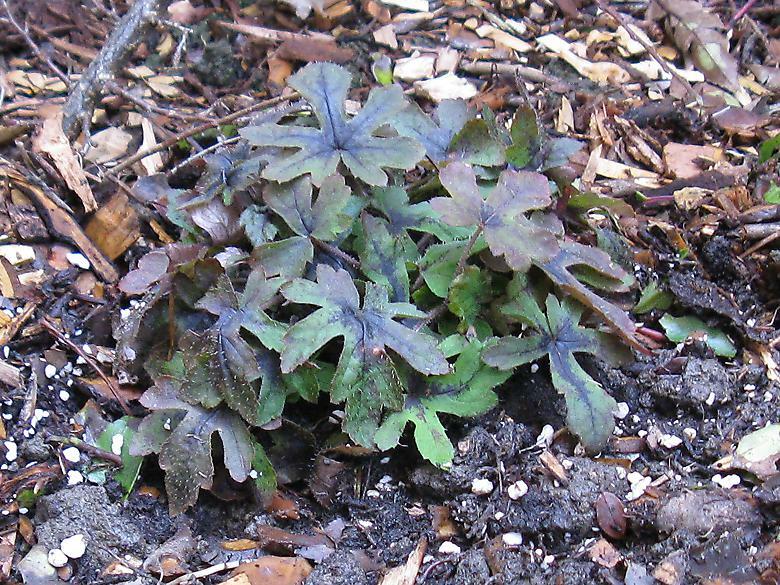 I planted this Tiarella "Spring symphony" today, it is situated in the area along the side of the house. As this is the last to be planted of the four I got, it should be the last of the Tiarella pictures until there is a flower to report.